Yeah, yeah, so I put my boyfriend in my photos instead of myself. What are you going to do? 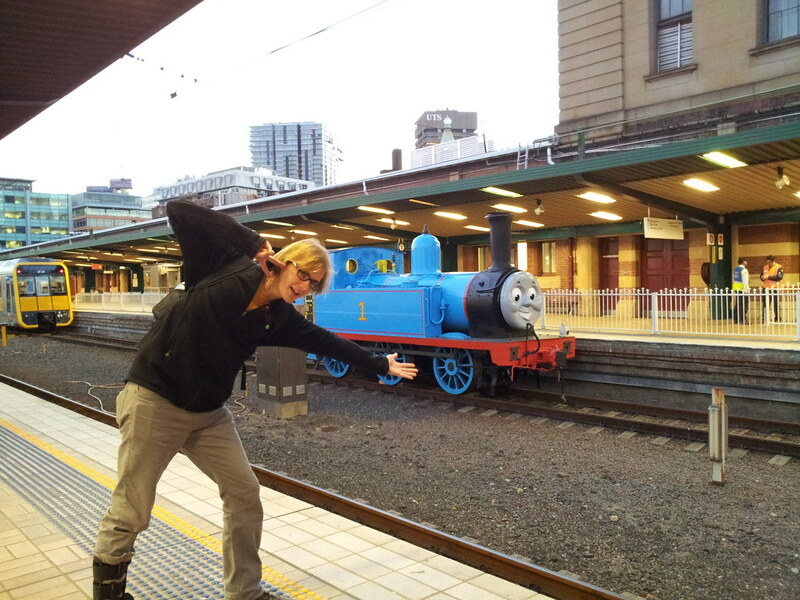 But anyway -- Thomas the Tank Engine, or a train very like him, was at Central Station today! What a surprise Ruben and I got as we left from the Main/Grand/Northern Concourse (take your pick). Well, one from my brother's childhood anyway. I never watched Thomas the Tank Engine until he came along since I wasn't really allowed to watch TV. But I digress! Comments are closed. Please tweet me at @hanezawakirika or email me your comments. Thank you.